"We bring people & information together." Cleveland State's Division of Institutional Diversity is celebrating 20 years of diversity, excellence and inclusion. Established in 1989 as the Office of Minority Affairs and Human Relations, the division has worked for twenty years to promote positive race and community relations within the CSU community. 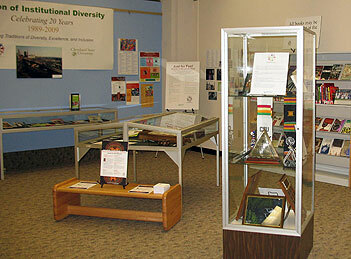 Learn about the Division of Institutional Diversity's past, present and future by visiting its exhibit on display through November 13, 2009 in the Michael Schwartz Library (first floor). On Monday, November 9, from noon - 1:30 pm, join the Division of Institutional Diversity for a reception as they celebrate 20 years of diversity. Light refreshments will be served. For more information visit www.csuohio.edu/offices/diversity or call 216-687-9335. Posted 2009-10-20 11:41:57 by Barbara_Loomis. 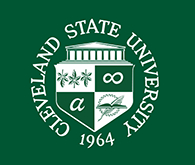 Cleveland State University | 2121 Euclid Avenue, Cleveland, OH 44115-2214 | 216.687.2000. The Cleveland State University is an equal opportunity educator and employer. Note: Documents in Portable Document Format (PDF) require Adobe Acrobat Reader 5.0 or higher to view. Download Adobe Acrobat Reader.